As we had announced earlier and demoed at Ignite, the ability to create custom forms for your SharePoint lists is now available for SharePoint First Release tenants. 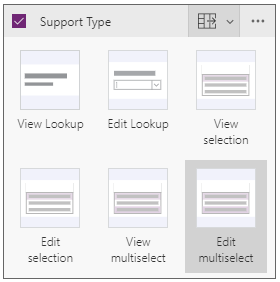 In addition, we are also enabling support for multi-value choice, lookup, and person column types, and read-only support for attachments in PowerApps. Note: These changes are rolling out incrementally for SharePoint First Release tenants and are not generally available from SharePoint yet. So, if your tenant is already on first release, you should already have them and if your tenant is not on first release, to enroll please follow the instructions here. 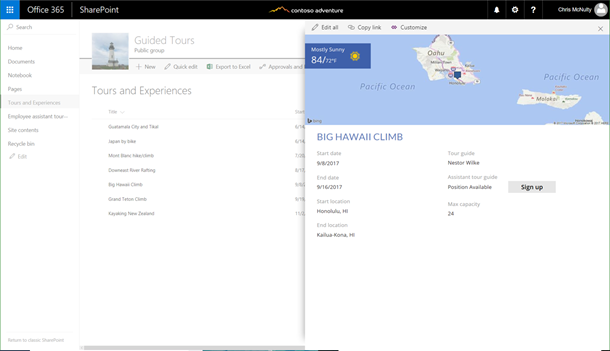 You can now use PowerApps to build customized SharePoint forms. PowerApps supports many of the scenarios that organizations addressed with InfoPath, and lets you take advantage of new cloud-first, mobile-first, connected capabilities to create custom forms and digital experiences to transform business processes. Learn more about custom forms and how to customize your list in our documentation. You can now also use choice, lookup & people columns in SharePoint lists that have multi-select enabled on them. If you are dependent on managed metadata, we will have support for that as well soon. If you create new forms or apps connected to a SharePoint list, they will detect and automatically enable multi-select for supported fields. For existing forms or apps, just select the multiselect cards for your fields on the form. You can now also display attachments connected to your SharePoint list item in PowerApps by simply enabling the attachments field on your form/app. We know that upload of attachments from PowerApps is an important scenario and are working on enabling it soon.